Find a new favorite road loop, chase down undiscovered roads, and cherish every mile aboard the Raleigh Revenio Carbon 4! With a nod towards endurance rides and a heads-up position, this feathery, vibration-damping carbon frame and fork is your ticket to riding farther and faster than ever before. Raleigh put lightweight Weinmann Momentum rims and smooth-rolling Formula hubs erase the climbs and absolutely fly on the descents, while Vittoria tires urge the rider to lean more in the corners. Before and after the corners, Shimano’s 11-speed Ultegra electronic Di2 drivetrain delivers lightning fast shifts with unheard of reliability. Rounding out the spec, Raleigh outfits their own handlebar, stem and carbon seatpost, and a supportive Prologo saddle ensures that you’ll have comfy perch on all those miles. 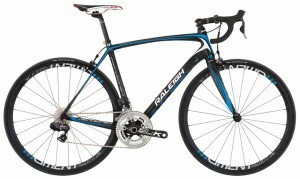 Find a new favorite loop, chase down undiscovered roads, and cherish every mile aboard the Raleigh Capri Carbon 4! A comfortable, endurance-orientedp geometry pairs with a feathery, vibration-damping carbon frame and fork so that you can ride farther and faster than ever before. 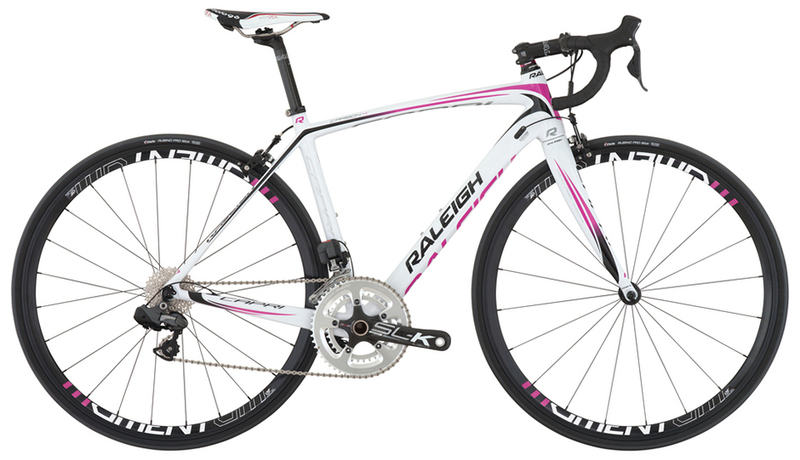 Raleigh put lightweight Weinmann Momentum rims and smooth rolling Formula hubs that dance up the climbs and descend on rails, while incredibly grippy Vittoria tires keep you on track when the road starts to wind. Step into the future of shifting with Shimano’s 11-speed electronic Di2 drivetrain, a system that promises lightning-fast shifts and total reliability. A great selection of Raleigh components and a Prologo saddle finishes off this svelte road rocket, ensuring that you’ll have the form you need to tackle the miles in style.